Peru is planning a series of huge hydroelectric dams on the 1,700-kilometer (1,056-mile) Marañón River, which begins in the Peruvian Andes and is the main source of the Amazon River. In 2011, Peru passed a law declaring the construction of 20 dams on the main trunk of the Marañón to be in the “national interest” and that the projects will launch the country’s “long-term National Energy Revolution.” But many Peruvians following the issue believe the planned dams are less about meeting “national demand” for electricity as the law reads, and more about supplying mining companies, and exporting to neighboring countries. According to the government, the potential maximum demand for electricity is projected to be just over 12,000 megawatts (MW) by 2025, assuming very high growth rates are maintained. But the 20 Marañón dams alone listed in the 2011 law are expected to produce more than 12,400 megawatts, and that doesn’t include the generating capacity of all the existing and other proposed dams in the Marañón Basin as a whole, and on other Peruvian rivers. “Who is all this energy for? For people, or for the [mining] companies? The answer is: the companies,” says Milton Sanchez, from the Plataforma Interinstitucional Celendina, a coalition of some 40 grassroots organizations based in the Celendin province of the Cajamarca region, which would be heavily impacted by the dams. Serra Vega says that the construction of just four of the dams would destroy fish migrations and stop the deposition of vital nutrient-rich sediments downriver. These soils fertilize the crops on which thousands of Peruvians depend. “Studies show that when dams are built, 90 percent of the fish disappear. The main trunk [of the river] will die,” says Serra Vega. 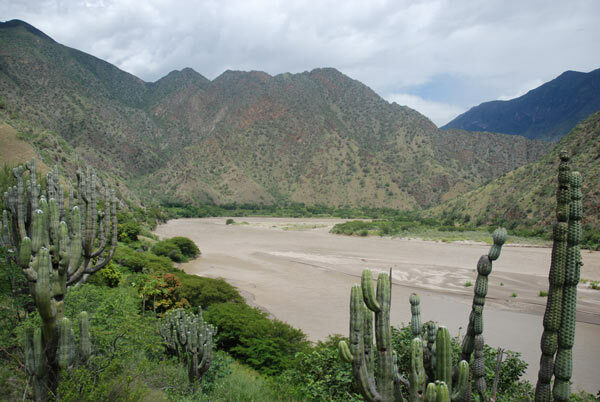 A 2014 report by the US-based NGO International Rivers (IR) agrees that the plans put the future of the Marañón at risk. IR used the sparse information available on the proposed dams to map potentially flooded areas. They concluded that the reservoirs created by the dams would inundate approximately 7,000 square kilometers (2,703 square miles) along 80 percent of the river’s main trunk. “The currently vibrant and free-flowing river would be almost completely drowned,” said the report. Paul Little, an environmental anthropologist, says that the Marañón dams could contribute to the Amazon’s “ecosystem collapse”, especially given that neighboring countries have similar plans for other rivers that birth in the Andes and feed into the Amazon. “These dramatic changes in continental water and sediment flows would also hinder the human use of the rich Amazon floodplains by traditional riverine communities,” Little said. The negative social and environmental impacts of large dams have been acknowledged for many years. The World Commission on Dams reports that large dams are the “main physical threat” to the “degradation of watershed ecosystems” and destroy or restrict rivers’ capacities to perform crucial ecosystem services such as providing habitat for fish reproduction, nutrient recycling, water purification, soil replenishment, flood control, and mangroves and wet-lands protection. Dams also disrupt and destroy communities, displacing between 40 and 80 million people globally. “Whole societies have lost access to natural resources and cultural heritage that were submerged by reservoirs or rivers transformed by dams,” the Commission states. The dams and vast reservoirs would submerge cloud forest, dry forest and lowland Amazon rainforest, and areas extremely rich in biodiversity and high in endemic species. Many of the endemic species — including mammals, birds, plants, insects, reptiles and amphibians — haven’t been studied by scientists. An embryonic tourist industry would also be wrecked. 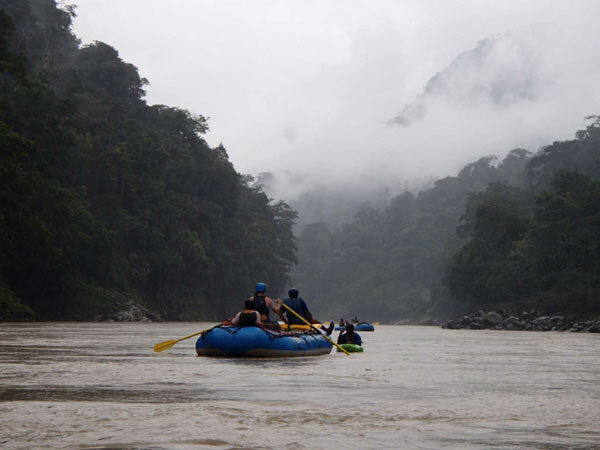 Rocky Contos, a paddling excursion organizer and director of SierraRios, a U.S.-based conservation organization, calls the Marañón the “most precious river” in Latin America and “one of the finest in the world” for rafting and kayaking. 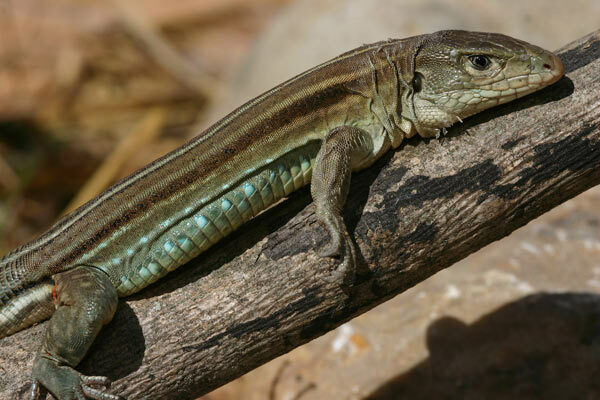 This newly discovered lizard species (Ameiva aggerecusans) is among 14 species of reptile and amphibian new to science recently found along the Marañón River. Researchers fear that the mega-dams projects will drown a treasure house of biodiversity. Photo credit: Claudia Koch. Strange as it may sound, the exact number of dams currently proposed for the main trunk of the Marañón isn’t clear — making environmental and economic impact assessments difficult. The confusion is partly due to muddled policy and a lack of transparency by the Peruvian government, partly due to the fact that some of the studies on which plans are based date back more than 40 years, and partly because of the 2011 law. Some of the dams appear likely to overlap each other, and several appear to have had their names changed. The 2011 law doesn’t include one dam, simply called Marañón, which is already under construction. Nor does it include at least four others — Veracruz, Chadin 2, Rio Grande 1 and 2 — which are at different advanced planning stages. All of these would be on the Marañón’s main trunk. According to Serra Vega and other Peruvians following the issue, Veracruz has replaced the proposed Cumba 4 dam, and Rio Grande 1 and 2 have replaced the Balsas dam. Moreover, the 2011 law doesn’t include four proposed dams known as Marañón 1, 2, 3 and 4 which, says Serra Vega, would also all be located on the Marañón’s main stem roughly between the proposed Patas 1 and Pulperia dams. IR’s 2014 report states that the “exact location” of these four dams isn’t known, but notes that engineers from the Generalima company were seen in the Patas 2 region in 2013, downriver from Patas 1. According to Serra Vega, Marañón 1 would effectively replace Patas 1, Marañón 2 would replace San Pablo, and Marañón 4 would replace Rupac. In February 2015, Peru’s Ministry of Energy and Mines (MEM) confirmed that at least three of these dams have what Peruvian law calls “definitive concessions,” granted by the government and required for the development of hydro-electric projects generating more than 500 MW. As acknowledged above, one of these, Marañón, is already under construction. According to OSINERGMIN, a government body supervising investment in mining and energy, Marañón was 28 percent built as of March 2015, and scheduled to start operating in December 2016. The other dams that have “definitive concessions” are Veracruz and Chadin 2. According to MEM, Veracruz is scheduled to be built starting in June 2017 and begin operation in 2022, while Chadin 2 is scheduled to commence construction in March 2016 and operation in 2023. The Environmental Impact Assessment (EIA) for Veracruz was approved by MEM in 2013, after initially being rejected, and the EIA for Chadin 2 was approved in 2014, following extreme controversy and complaints from local people saying they had suffered intimidation, repression and criminalization of protest. At least another two of the proposed or planned dams, Rio Grande 1 and 2, have been granted “temporary concessions,” which are required to do feasibility studies. 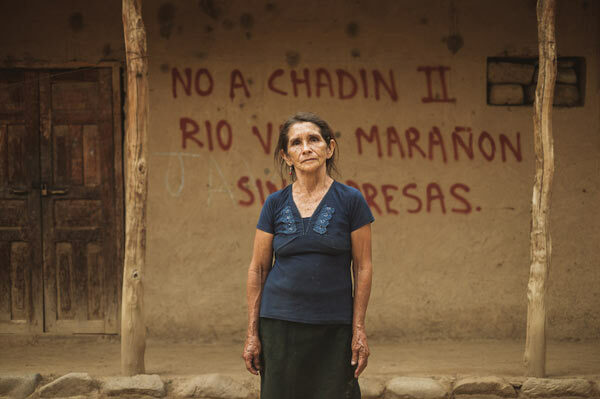 The EIA for both dams is currently being written and two rounds of “informative workshops” with local people have been held, with similar complaints emerging of intimidation, repression and criminalization of protest. In addition, Marañón 1, 2, 3 and 4 had “temporary concessions” which have now expired, according to Serra Vega. 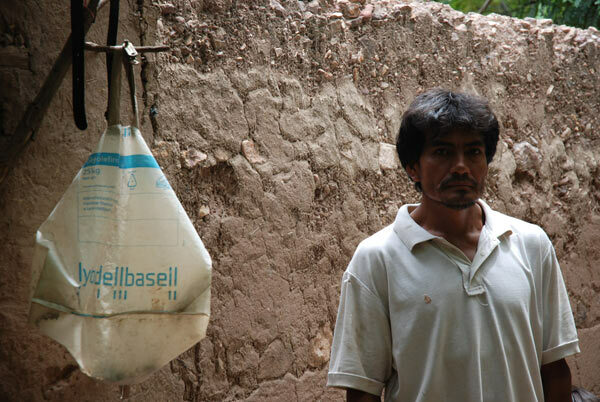 “For us the only development is looking after the land and the water,” said Rodas Rojas. 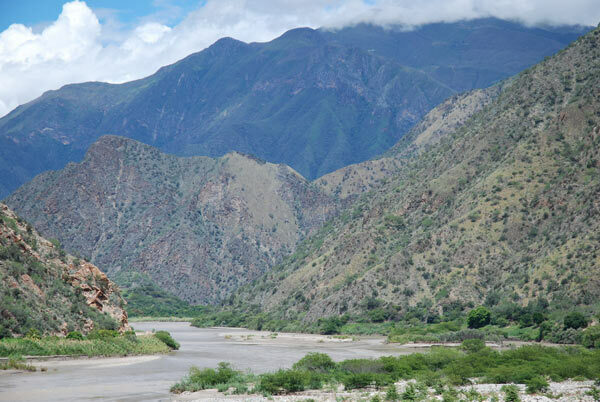 Some of the spectacular scenery found along the Marañón River. Photo credit: David Hill. Almost every Awajun and Wampis man or woman interviewed by Mongabay.com said they were opposed to, or seriously concerned about, the proposed dam at Manseriche. Some Awajuns said it could lead to conflict or a second “Baguazo,” the name given to the initially peaceful protest by thousands of Awajuns and Wampis near a town called Bagua in 2009. Things turned violent there after riot police opened fire on the protesters. More than 30 people were killed, including over 20 policemen, and more than 200 injured. As mentioned earlier, the intention of the Marañón dams as stated in the 2011 law is to meet “national demand,” but many Peruvians familiar with the dam projects believe that they have far more to do with supplying electricity to mining companies operating in Peru, and possibly creating an export market. The bridge at Balsas, near a proposed dam site. Photo credit: David Hill. Some Peruvians following the issue connect at least one of the dams to specific mining projects. Rodas Rojas, from the Rondas Campesinas, told Mongabay.com that energy from Chadin 2 is intended to power the “big grinding mills to be installed at Conga,” the highly controversial proposed expansion of the much-condemned Yanacocha mine run by the U.S.-based Newmont Mining Corporation. Newmont’s partners are Peru’s Minas Buenaventura and the World Bank’s International Finance Corporation, which provided funds for initial construction and expansion and has a 5 percent stake. 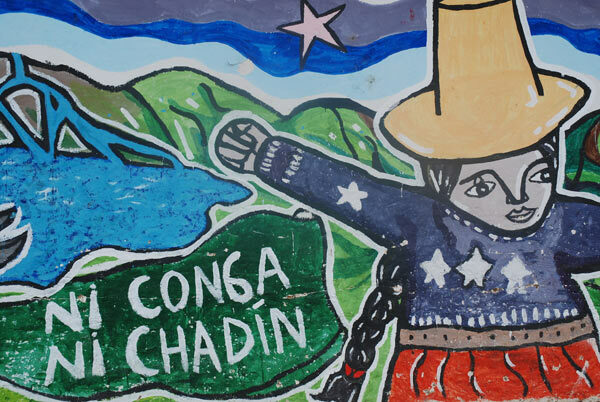 According to Lynda Sullivan, an Irish journalist based in Cajamarca, some of the personnel involved in promoting Chadin 2 and now Rio Grande 1 and 2, are former Yanacocha employees. 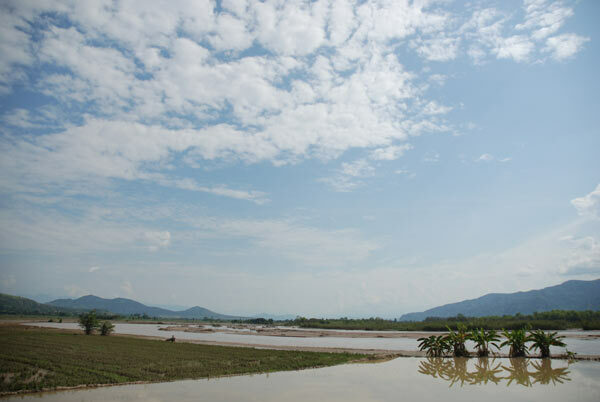 These rice fields upriver from the proposed Pongo de Rentema dam would be inundated by its reservoir. Photo credit: David Hill. Almost all of the proposed dams under “definitive” and “temporary concessions” are controlled by foreign companies. 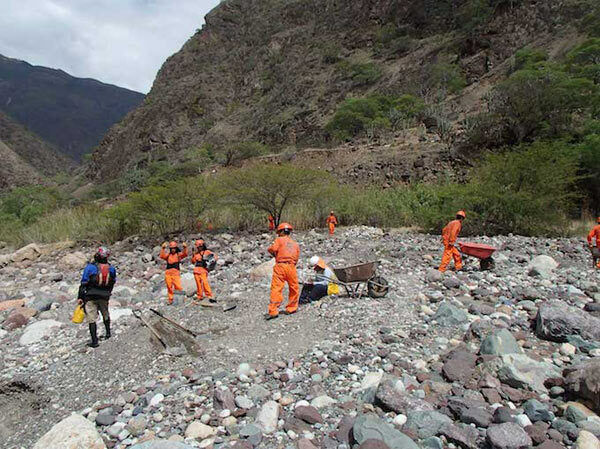 Rio Grande 1 and 2 are under the direction of Odebrecht Energy Peru, a subsidiary of the giant Brazilian group Odebrecht, while Chadin 2 is under the auspices of AC Energy, another Odebrecht subsidiary. Veracruz is operated by the Compania Energetica Veracruz, a subsidiary of Chile’s Enersis, which is controlled by Spain’s Endesa, which is in turn controlled by Italy’s Enel, according to BN Americas. Maranon 1, 2, 3 and 4 are all under the direction of Generalima, another En-ersis/Endesa/Enel subsidiary. 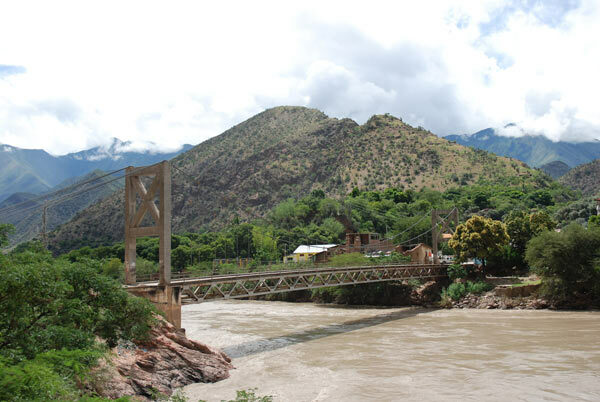 The 20 dams proposed by the 2011 law, and the others under construction or in advanced planning stages described in this article, are all on the Marañón’s main trunk. For the Marañón Basin as a whole, including tributaries, the total number of proposed dams is much greater. According to a 2012 research paper by U.S. scientists Clinton Jenkins, with the Brazilian NGO Instituto de Pesquisas Ecológicas, and Matt Finer, now with the U.S.-based Amazon Conservation Association, the total is 39 dams, but that doesn’t include Rio Grande 1 and 2, nor Marañón 1, 2, 3 and 4, nor Vizcarra. 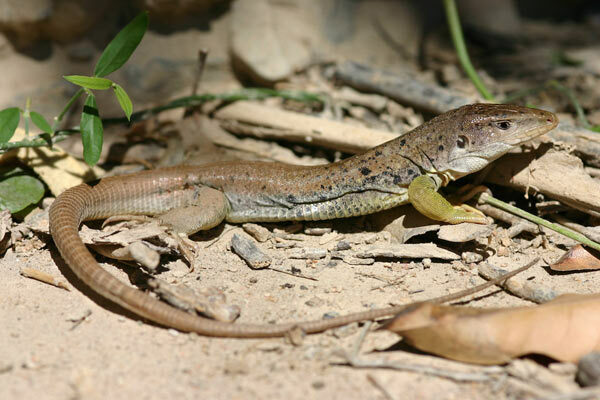 This article was produced under Mongabay.org's Special Reporting Initiatives (SRI) program and can be re-published on your web site or in your magazine, newsletter, or newspaper under these terms.